So the “Good Life” song lyrics have been running through my head, because well, you know. So I thought I’d make good use of them for today’s post title. 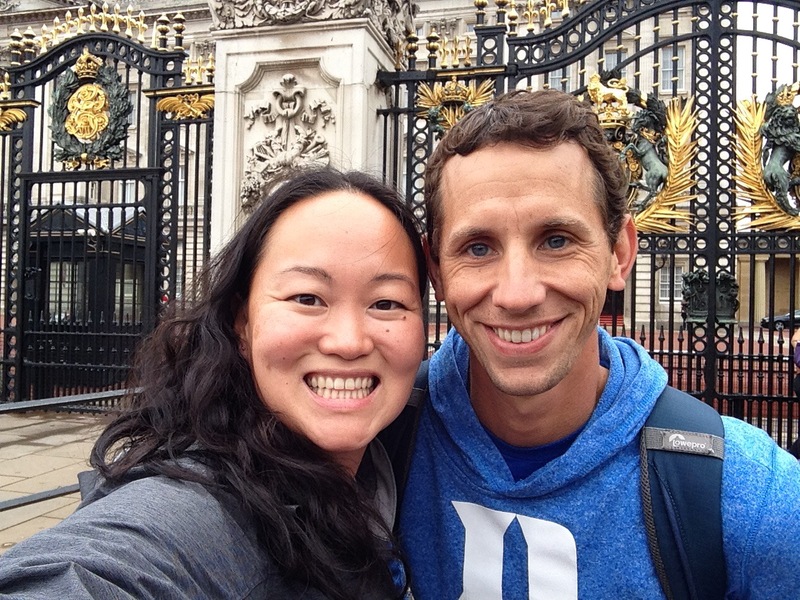 That being said, today was our first full day in London, and it was pretty amazing. It started out good and got better and better and ended with us fulfilling a life-long dream I’ve had. But more on that later. 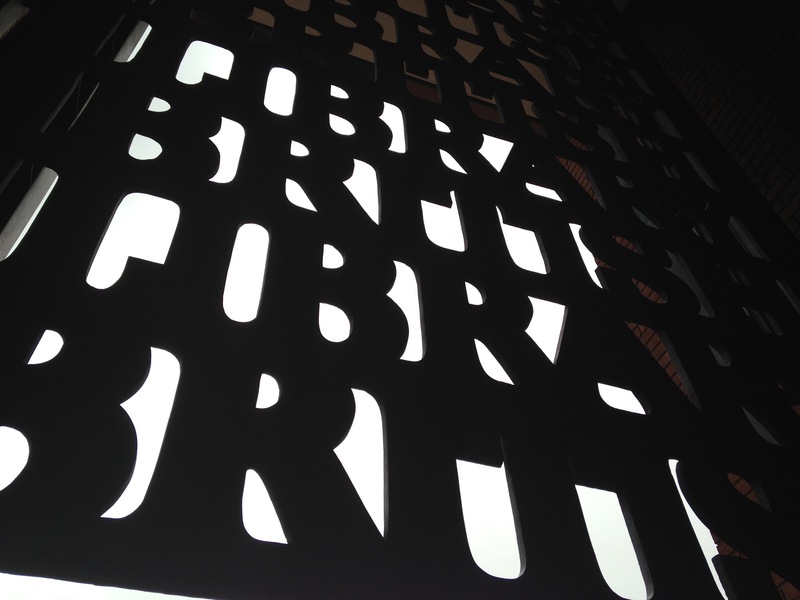 We started our day out with a walk to the British Library. 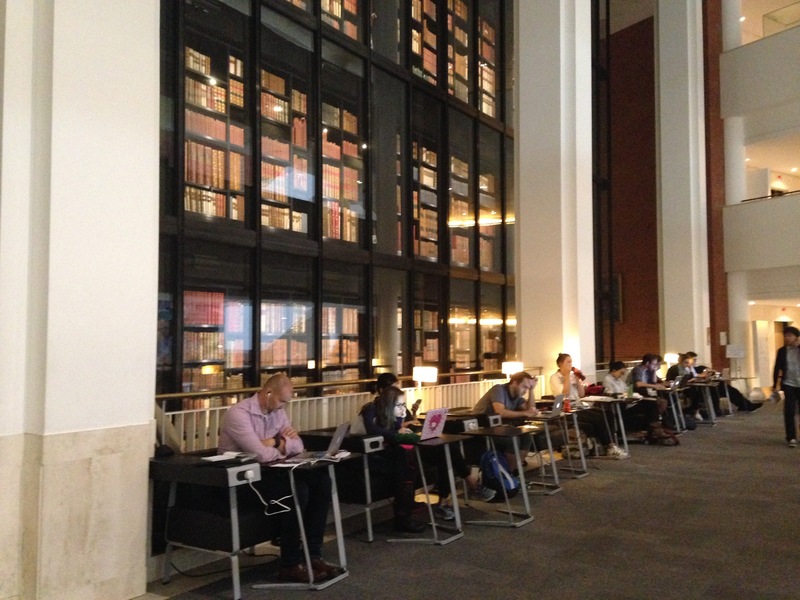 Because we are the kind of people that like things like big cool libraries. It might make us a little dorky, but we don’t care. 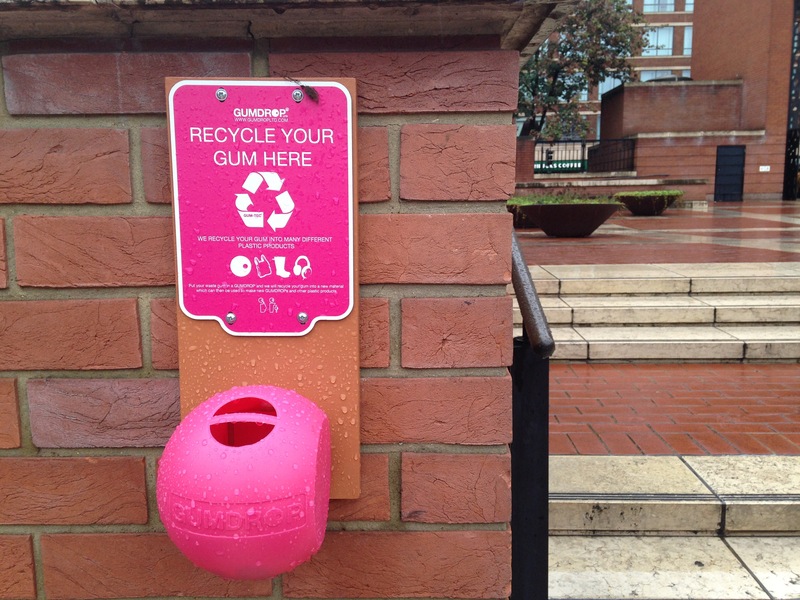 While there, we learned that gum recycling is a real thing in London. Who knew? We walked all around the library. My favorite part was a place that didn’t allow pictures, so I’ll just tell you about it briefly. It was called The Sir John Riblat Gallery and contained treasures of the British Library. We’d go on to see that those treasures included an incredibly history of documents from all sorts of amazing people, writers and musicians. They had pages of Musical compositions by Beethoven and Mozart and sketches from Leonardo DaVinci’s notebooks. We also saw handwritten lyrics from the Beattles, but my favorite thing by far was seeing Gutenberg’s Bible of 1455. It was absolutely brilliant. We also saw this, which was labeled as the King’s Library, so we had no other notions than to assume it was the King’s library. It looked pretty sweet. After the library, we walked over to the British Museum. All of the museums in London are free, which makes it pretty fun to visit them. 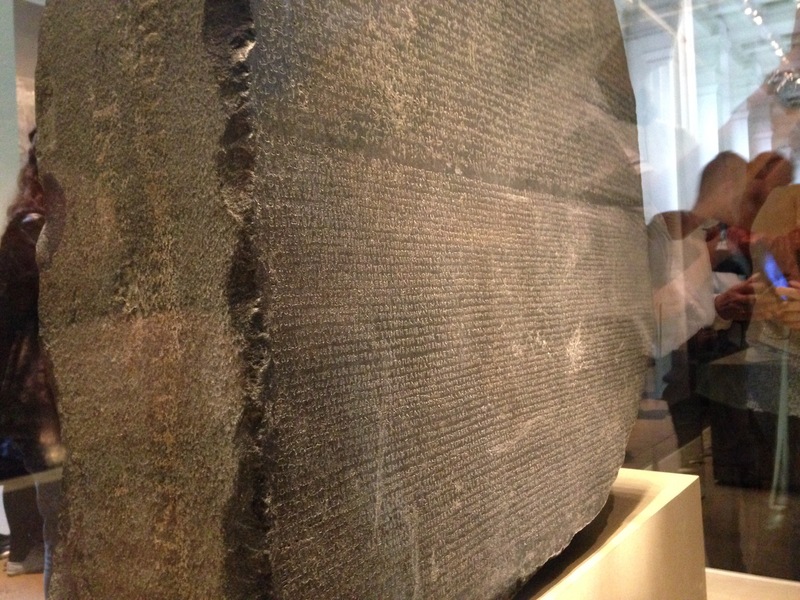 While there, we saw the actual Rosetta Stone, so that was kind of awesome. 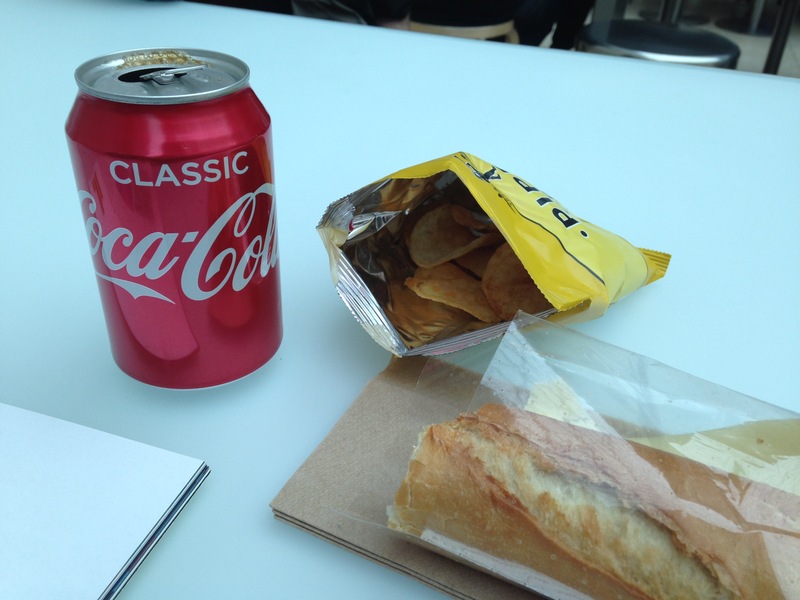 We also enjoyed a nice sandwich and bag of crisps for lunch in the main atrium area of the museum. It was reasonably priced and pretty delicious. 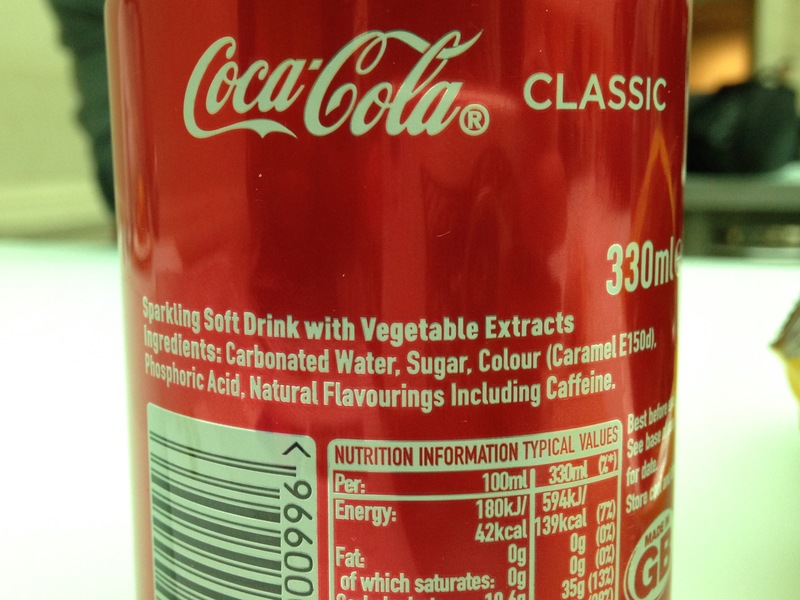 I personally found it awesome that Great Britain describes Coke as “a sparkling beverage with vegetable extracts.” It kind of made me feel better about drinking it because I just imagined that they snuck some carrots or kale in it. Maybe they are part of the “natural flavourings.” Take note, America. After lunch we wandered around the museum, looking at art and old things. We loved it because we love wandering around museums. 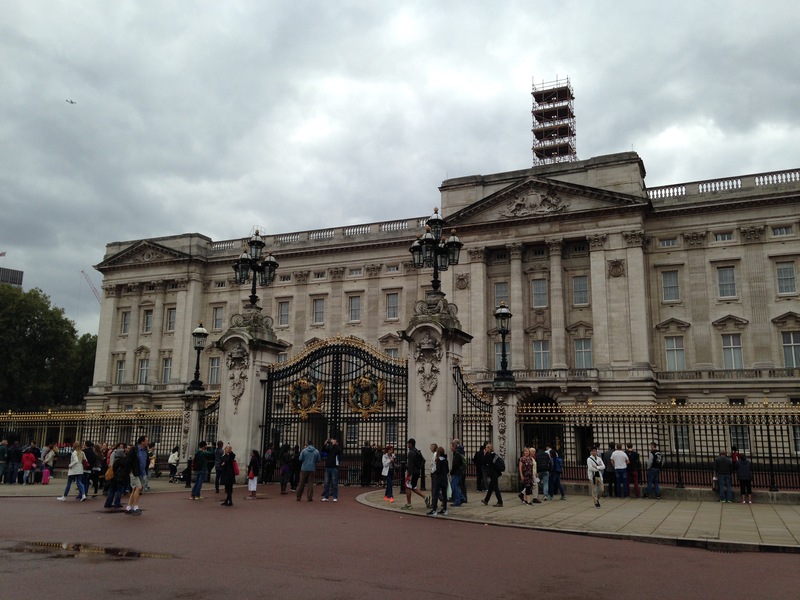 And when we were finished, we took a stroll to say hello to her Majesty at Buckingham Palace. Granted, she had no idea we were there, but we we enjoyed walking around her fancy gate and looking at her beautiful home. And now, about that life long dream I mentioned. 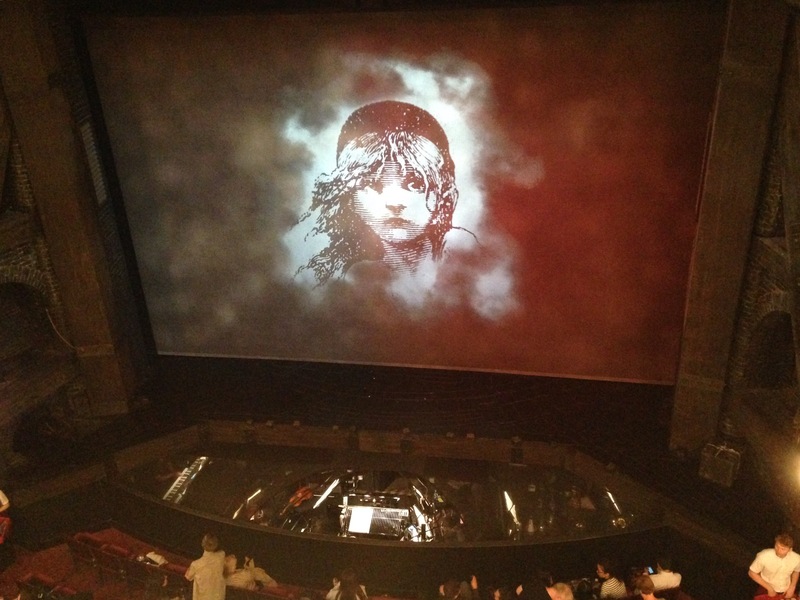 Ever since we moved to New York, I’ve wanted to see Les Misèrables on Broadway. I’ve always loved the songs and the story and over the years have enjoyed different versions of it, but sadly never in a professional theatre. 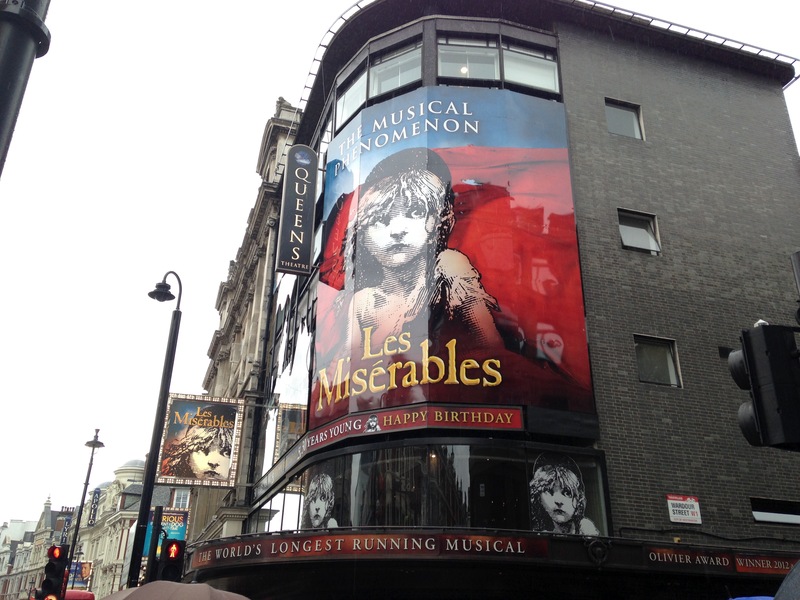 So while walking around (we walk a lot on our vacations and logged in 14 and a half miles today), we came across London’s theatre district and lo and behold, there it was. We ended up getting a kind of good deal on tickets for the 7:30pm show. I was giddy with excitement. I really don’t think I can put into words how amazing it was. First off, I was just happy to see this dream come true. Seeing it in London with Jeremy also made it incredibly special. But finally, the actual show? It was mesmerizingly beautiful. I laughed and even cried and sang along in my heart with the songs that told their powerful story of redemption and grace. It really was the most incredible night, and I’m so glad that it all worked out. 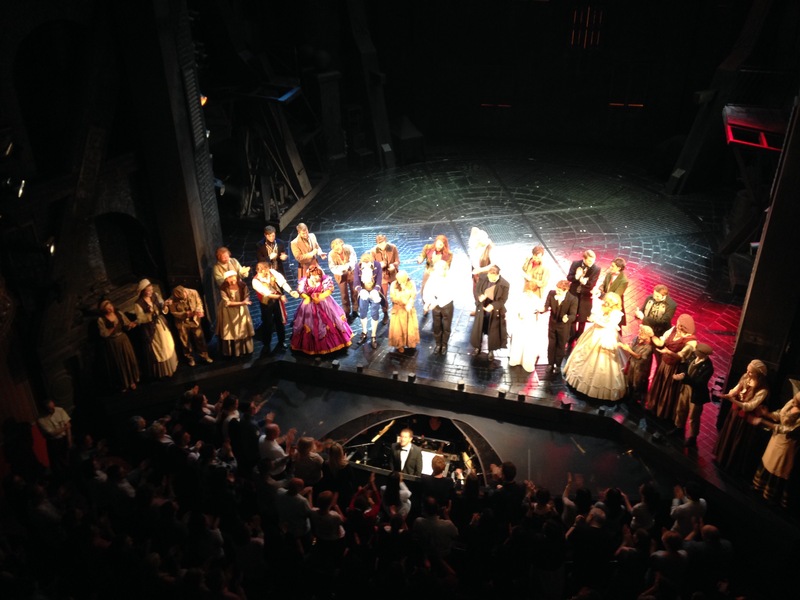 Pardon the blurry picture, I snagged it at the end when they were doing the curtain call. Also, huge shout out to not only the cast, but also to the crew and the musicians. Envy thing was spot on and the production could not have been more perfect. And that sums up our incredible day. My feet are tired, but my heart couldn’t be happier. Heading to bed now, but thanks for stopping in and checking up on our first day of fun adventures!